The most powerful love story to come along in years. Beginning with a wife's farewell to her husband in World War II, and continuing to the present day, James Michael Pratt weaves an emotional tale of love transcending time and space. Television reporter Susan Allison is looking for the perfect story about true love, but her heart of hearts tells her such a thing doesn't really exist. 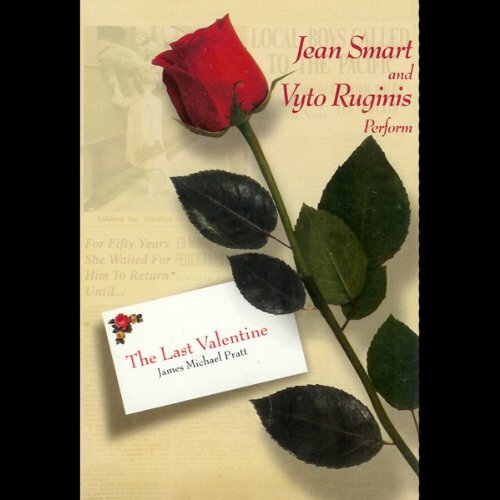 Writer Neil Thomas, Jr., wants only to share the powerful message of the "Last Valentine", his parents' tragic, yet triumphant, 50-year love story, On February 14, 1944 Caroline Thomas said goodbye to her beloved husband, a Navy pilot sent to the Pacific. For 50 years, she waited for him to return-until a miracle happened and she received his "Last Valentine". In the present day, when Susan and Neil meet, neither of them expects the emotional outcome: that the story of Neil's parents will bring them together in a love as powerful as she dreams of and remembers. I listened to this when I was driving back from NYC and I was crying as I drove. Great book! I was happy with this story of the Last Valentine. I did feel there could have been a little more to the story though, i was left feeling a little not quite finished! !